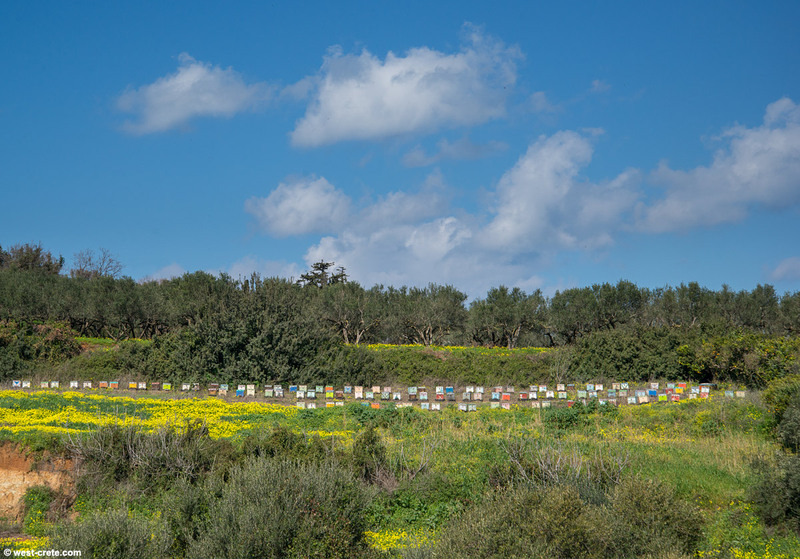 A long row of beehives near Loutraki. They were probably put here because there is so much oxalis flowering in the area. Oxalis is an invasive plant and not so good for plant diversity (as it tends to take over) but beekeepers like it as it provides many flowers in the middle of winter.